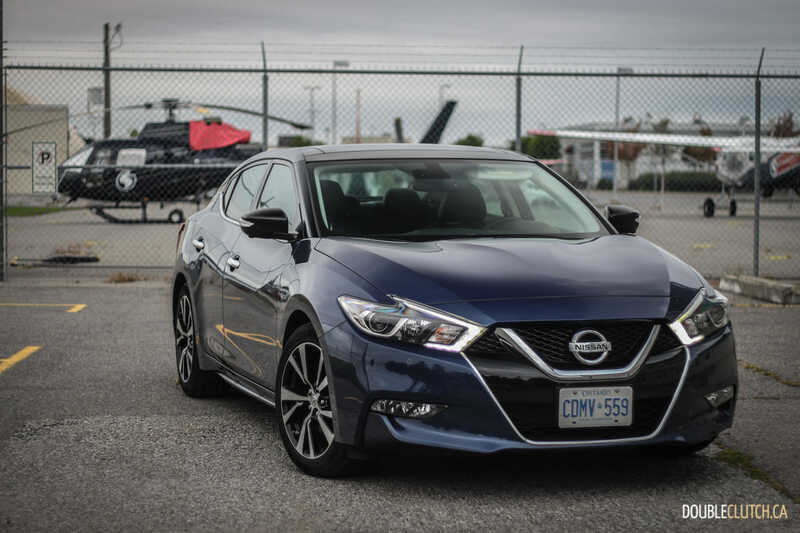 The Nissan Maxima has always had a special place in my heart, especially considering I very recently sold my 2002 manual transmission model. 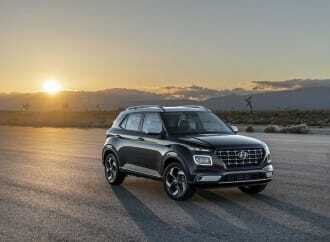 The revolutionary (at the time) VQ35DE engine, the six-speed manual and a throaty exhaust note all came together as a calming remedy after a hard day at work. 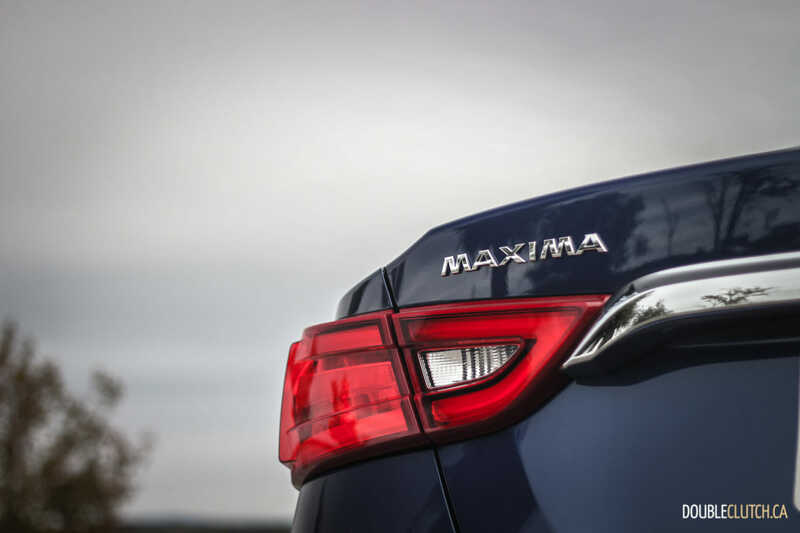 Despite the impending extinction of full-size front-drive sedans, the Maxima is still very much alive. 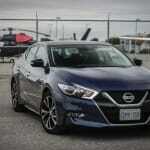 In fact, Nissan has positioned it to be the sportiest thing in a segment geared towards an older, more mature crowd. This 2018 Nissan Maxima Platinum is premium in its own way, and was the chariot of choice for a road trip to Ottawa. 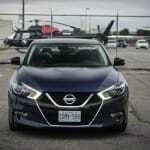 Nissan knows this isn’t a sports car, but the 4DSC (four-door sports car) moniker has been brought back as a homage to the athletic sedan of the past. 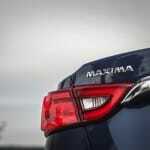 Originally derived from the Datsun 810, the Maxima has gone through eight generations. 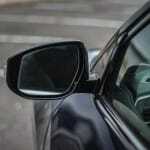 The first front-drive model was introduced in 1984, and a manual transmission was offered up until the 2007 model year. 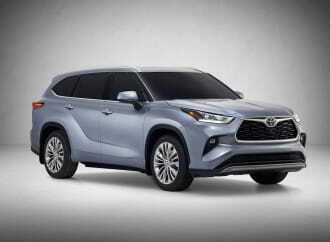 Since then, it has been a more sedate and luxurious cruiser with focus on the CVT transmission and overall comfort rather than favouring the enthusiast. The only available engine on the 2018 Maxima is the VQ35DE, a naturally aspirated 3.5L V6. This 24-valve V6 is good for 300 horsepower and 261 lb-ft. of torque. 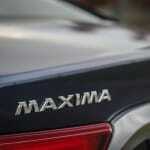 The 2004 Maxima was introduced with 265 horsepower, genuinely radical for the segment back then. Fourteen years later, it’s noteworthy that while power has only gone up by 35, this VQ engine is still very much in tune with its rivals. That said, with Nissan focusing on variable-compression engines and turbochargers, it’s inevitable for the next Maxima to go over to forced induction. 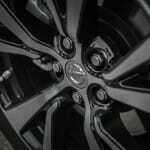 Nissan was one of the pioneers bringing CVT technology to the mainstream; the Maxima first saw it in 2007. 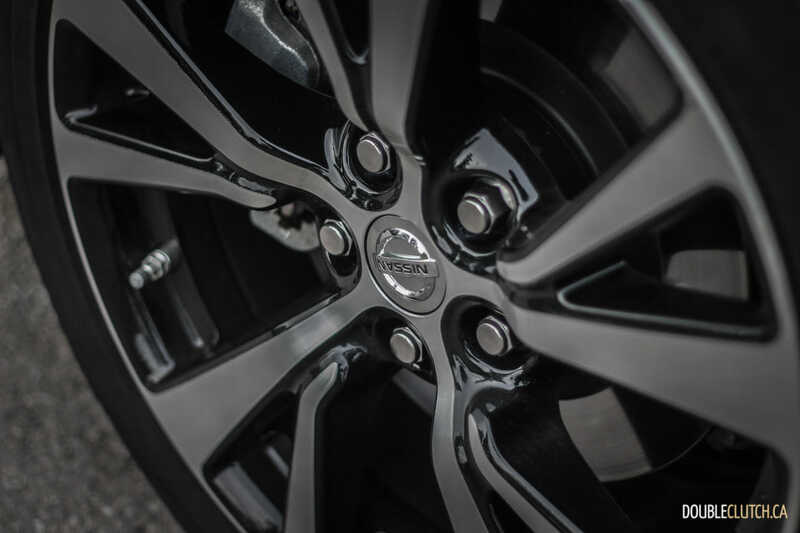 While it isn’t the sportiest thing around, Nissan’s CVT has improved steadily over the years, focusing on refinement and immediate response while maintaining efficiency. 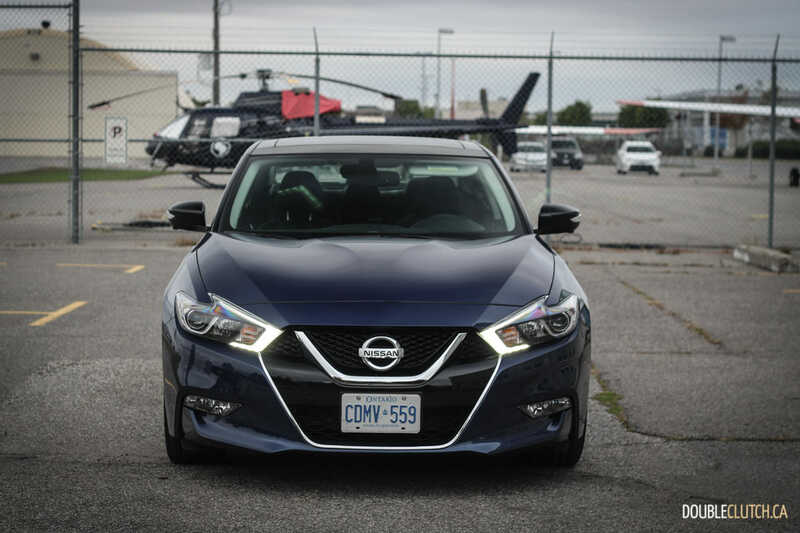 The latest Xtronic application in this Maxima has simulated gear shifts in sportier modes, and now seems like the perfect pairing to the VQ 3.5L engine. 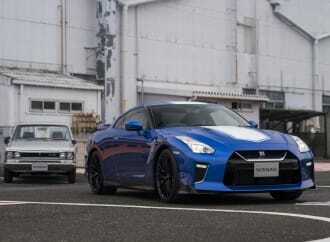 Powertrain response is more than adeuqate, and this naturally aspirated mill is capable of more immediacy than any turbocharged setup would be able to. 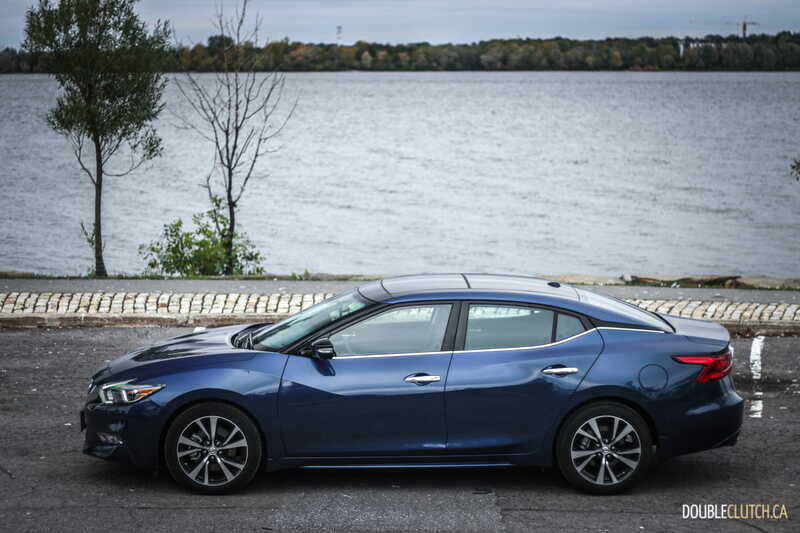 Torque steer is still a real thing, but the stiffer and more advanced chassis on the 2016 and newer Maxima has minimized it over the previous generation model. 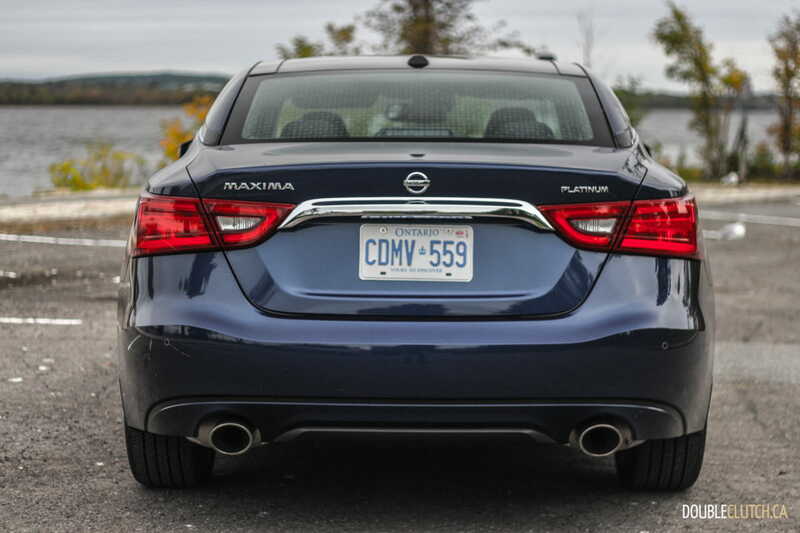 The Maxima’s dynamics are still typical of a large sedan, but the steering response is sharper than the Buick LaCrosse (reviewed here) and more comparable to the lively Regal (reviewed here). 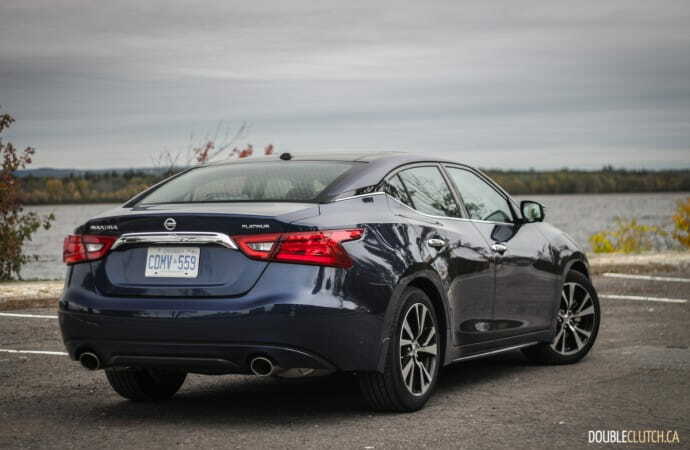 It’s worth mentioning that while Nissan Canada offers all-wheel-drive as standard equipment on the smaller Altima, the Maxima carries on as a FWD-only vehicle. 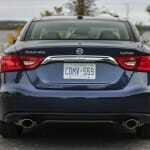 This inevitably pushes some Canadians elsewhere, as AWD is a high priority in the premium segment. 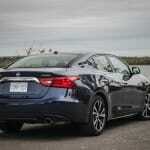 Though the hydro-electric power steering is extremely sharp, it does lack a bit in the feedback department. 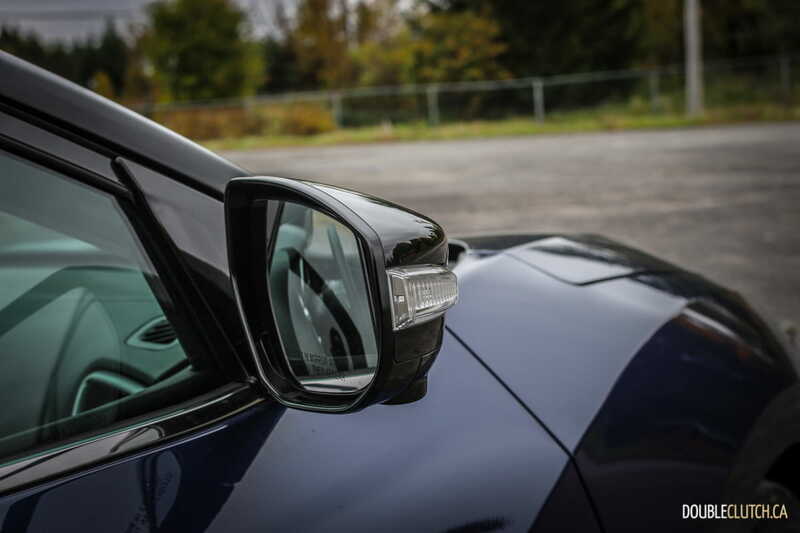 The flat-bottomed wheel feels too heavy at parking lot speeds and lighter at highway speeds, requiring continuous overcorrection. 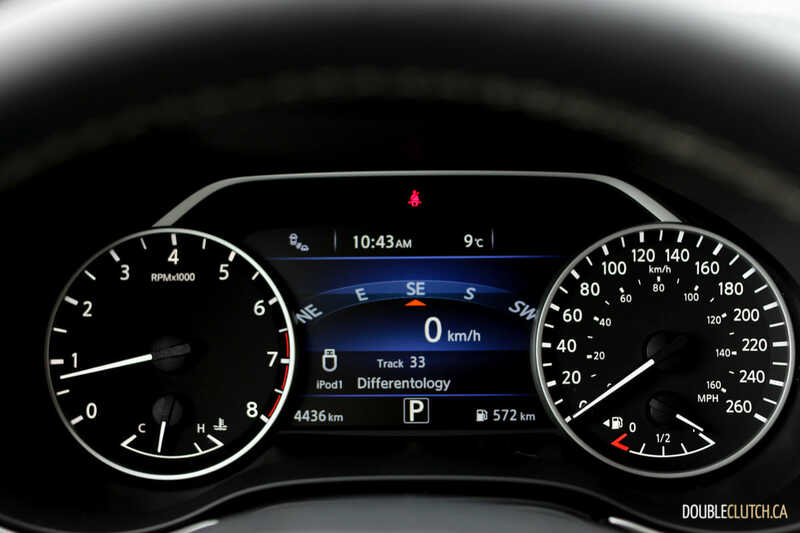 Most variable-ratio steering setups work the other way around, making low-speed maneuvers easy and minimal correction at cruising speed. 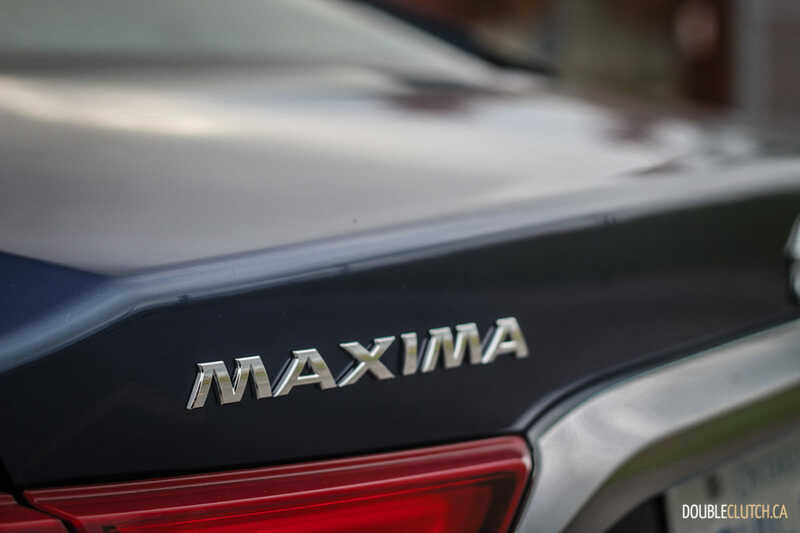 After a few hours behind the wheel though, it’s easy to get used to the Maxima and get over the steering given how smooth and well-sorted the ride quality is. 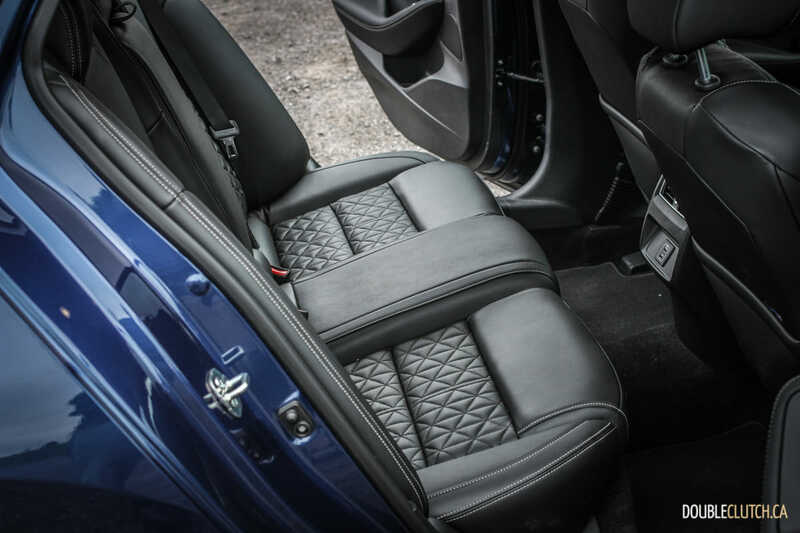 The sporty SR trim offers Yamaha Performance Dampers with an Integrated Dynamics Control setup, so those who really want that extra level of precision will want to gravitate there. Even still, the Platinum model’s fixed ZF Sachs dampers combined with thick front and rear stabilizer bars make for decent fun. Body roll during corners is minimized, and on/off-ramp adventures with the Maxima are particularly fun. 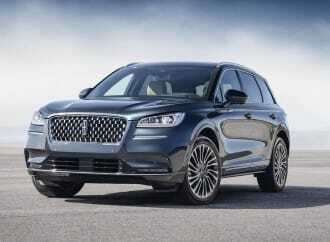 It’s still athletic, but this trim level is very obviously geared towards being luxurious first and foremost. 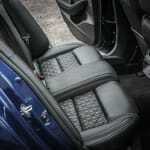 Highway manners are lovely, with road imperfections being soaked up perfectly. 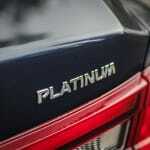 Despite the dampers being fixed, this Platinum would be our pick of the litter. 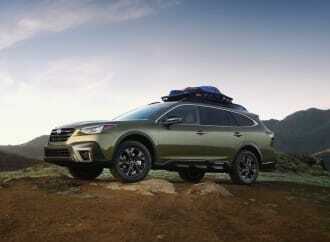 Where the CVT’s benefits really begin to show will be at the gas station. 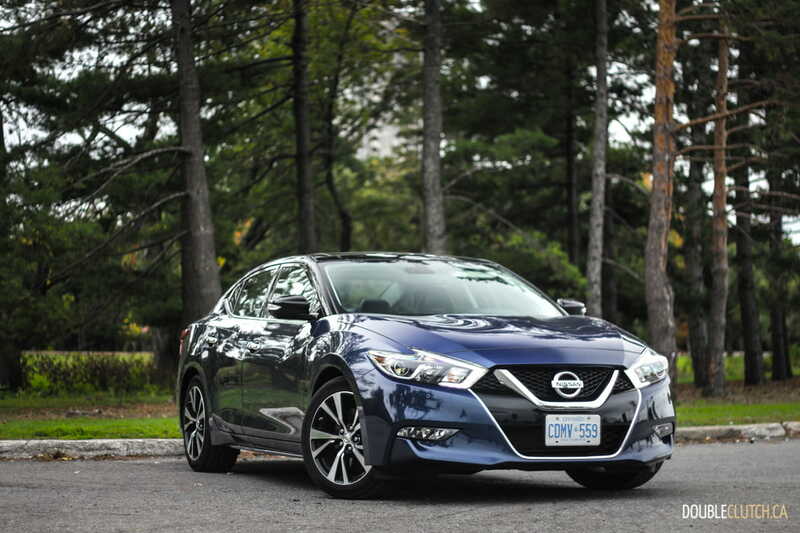 Nissan Canada rates the Maxima at 11.1L/100km city and 7.8L/100km on the highway. Over a 1,000km round trip to our nation’s capital, we observed 8.6L/100km, a decent overall number. Premium 91-octane fuel is required for optimum performance, and we observed no worse than 10.4L/100km in bumper-to-bumper city commuting. 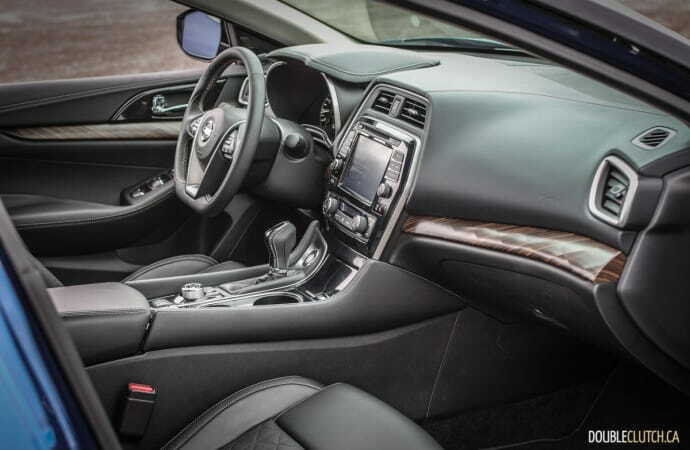 The interior of the Maxima has a sporty focus, with top-notch materials. 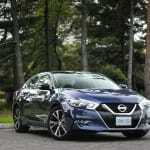 Cabin appointments are where this Nissan really shines. 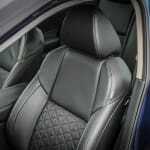 Fit and finish is comparable to or better than many legitimate luxury vehicles, and we even prefer this interior to Nissan’s own Infiniti Q50 (reviewed here). 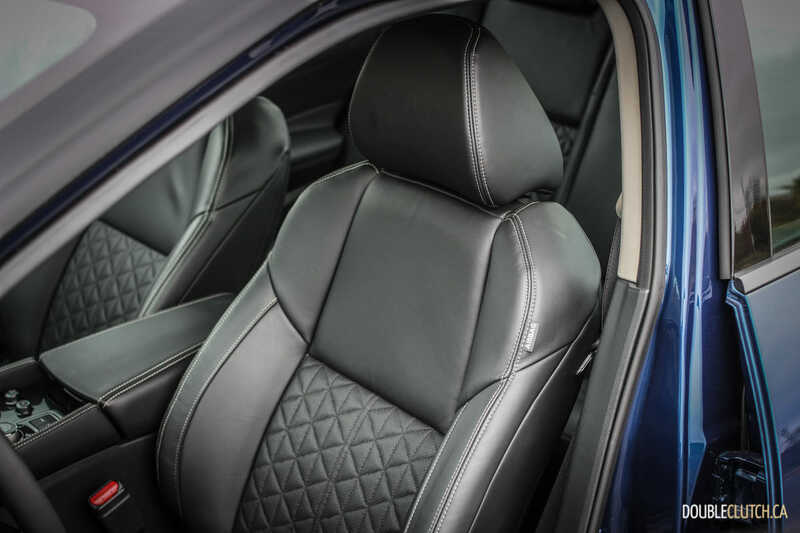 Premium leather can be found throughout the cabin, and the triple-layered and well-bolstered “Zero Gravity” seats provided the perfect amount of support over our longer road trip. 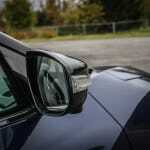 Insulation and noise reduction features such as double-paned front window glass help the Maxima’s image over rivals like the aging Ford Taurus. 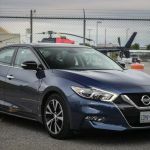 A noteworthy upgrade over the last time we tested the Maxima is the integration of Apple CarPlay and Android Auto, through the NissanConnect infotainment system. 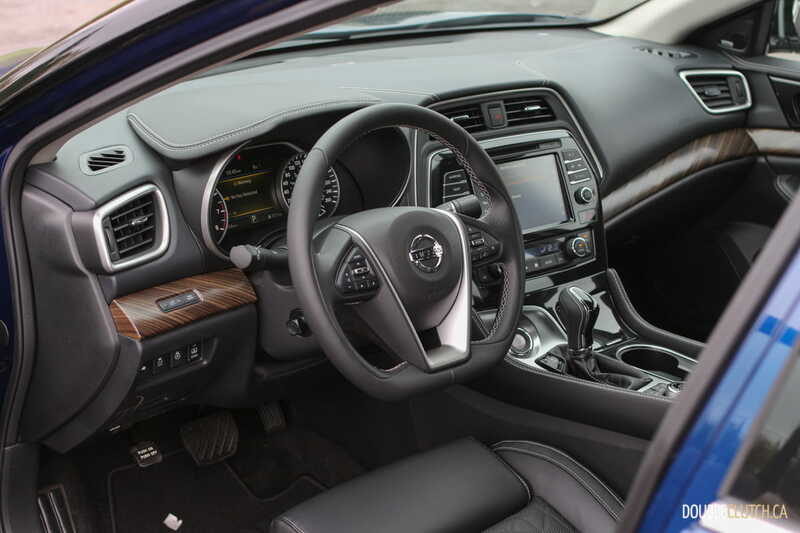 The eight-inch touchscreen system has two USB ports, and is fairly easy to navigate. 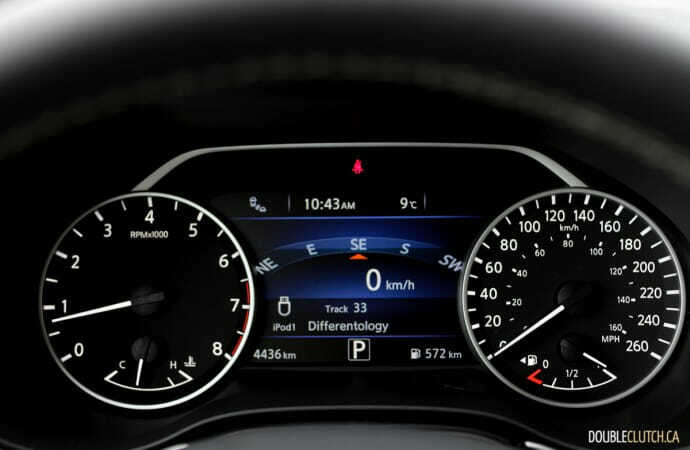 The graphics of the native Nissan menus could be better, but this won’t be an issue for those who favour the smartphone integration. 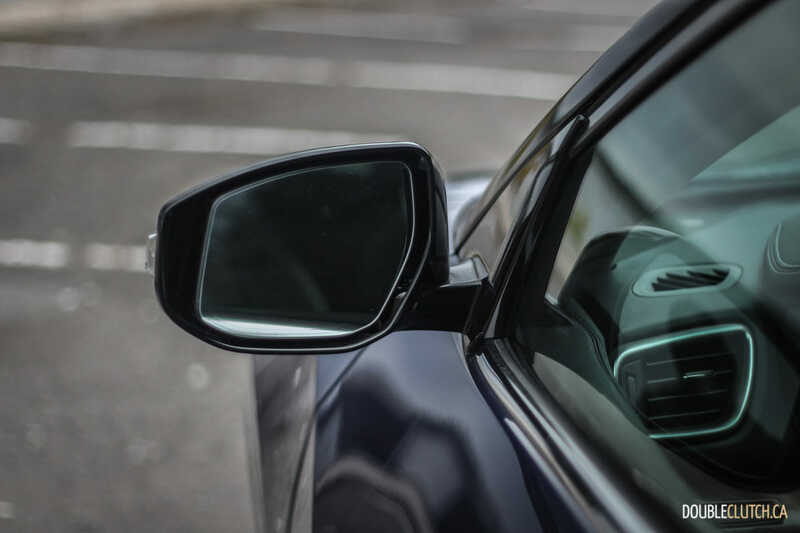 Our Platinum tester was also equipped with an 11-speaker Bose premium audio system, which sounds excellent with balanced sound throughout the cabin. Four trim levels of the Maxima are offered, with a starting price of $36,990 for the base SV model. 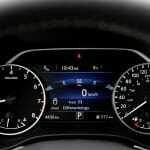 The base car still comes with Intelligent Emergency Braking and Forward Collision Warning. 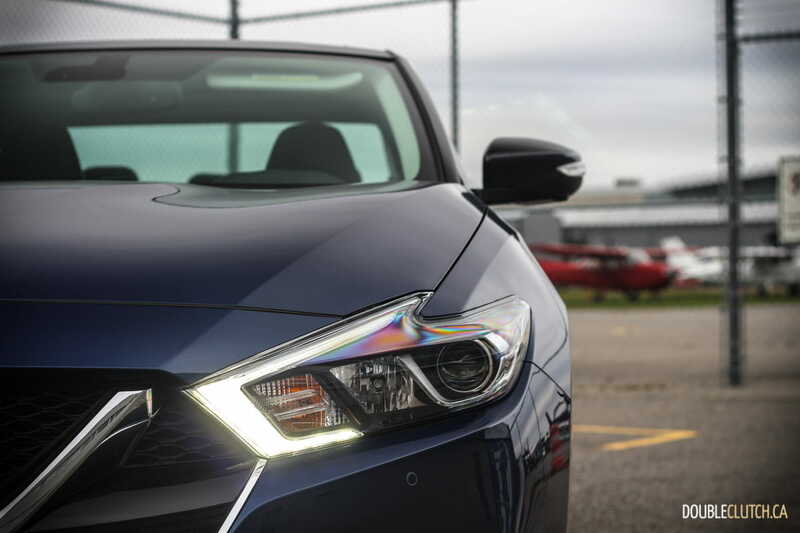 Most Canadians will opt for the $39,690 SL which adds radar cruise control, a dual-pane power sunroof, and blind spot warning. 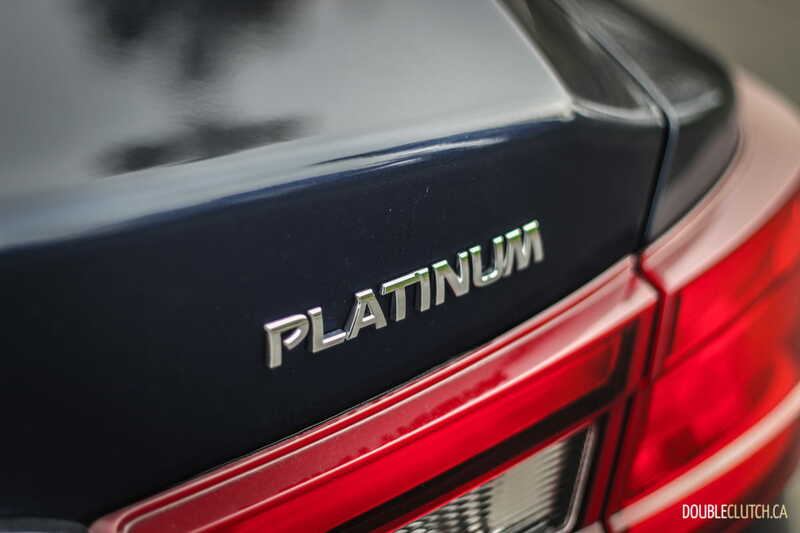 Our top-trim Platinum tester came in at $44,150 and includes everything including LED headlights, Ascot heated and cooled leather seats, an Around View monitor, and much more. 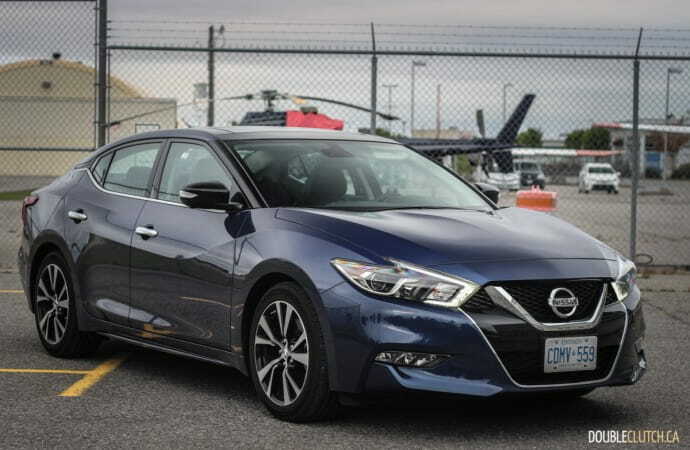 If driving dynamics are a priority, the 2018 Nissan Maxima Platinum definitely has an upper hand over its competition. 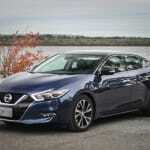 The new Toyota Avalon (reviewed here) impresses in many ways, but the Maxima’s aggressive looks work to its advantage. 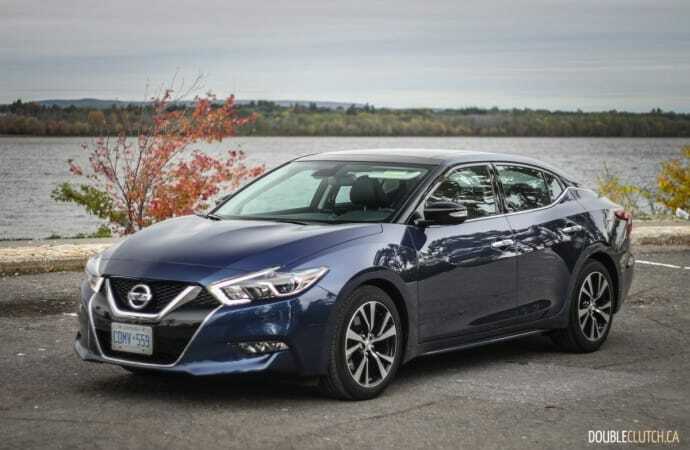 There is a refreshed model coming for the 2019 model year, and that update should give the Maxima the bump it needs. If anything, this is still one of the sleepers that nobody really thinks of.